#BookDirect – Learn how to save when traveling! 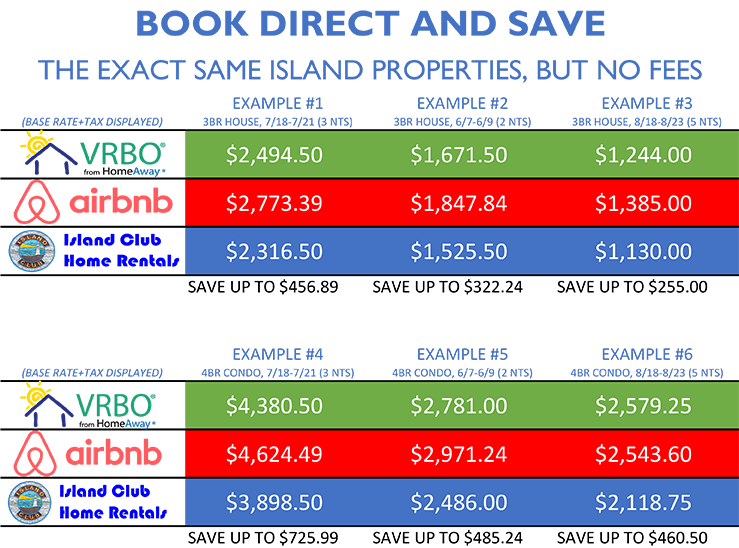 Are you overpaying by 5% to 20% every time you travel? 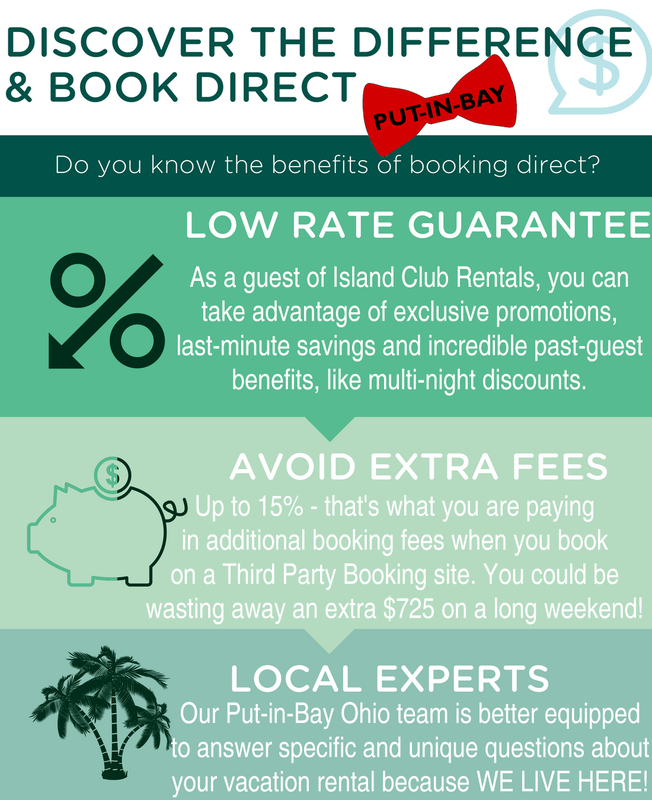 Join Island Club Rentals, Put-in-Bay Condos, and the rest of the vacation rental industry for #BookDirect Day on February 7th, 2019. It’s time to get your summer vacation plans in order and join the movement to make a FEE-FREE vacation rental booking. Read more to discover why it is always less expensive to book direct with your lodging. In recent years, there has been a huge growth of online listing and travel sites (such as AirBNB, VRBO, HomeAway, FlipKey, TripAdvisor, and Booking.com) who are inserting themselves between you – the guest – and us, the vacation rental manager. The industry term for the online middlemen is “Online Travel Agency” (OTA). There are key differences. 1- Did you know that Airbnb, Booking.com, VRBO, HomeAway and TripAdvisor can add hundreds of dollars of fees to your booking total? That’s how they make their profit! 2- Do you want to know if there is a propane grill, jet ski rental, 24/7 taxi service, a grocery store close by? The big OTAs don’t live on Put-in-Bay so they can’t tell you! 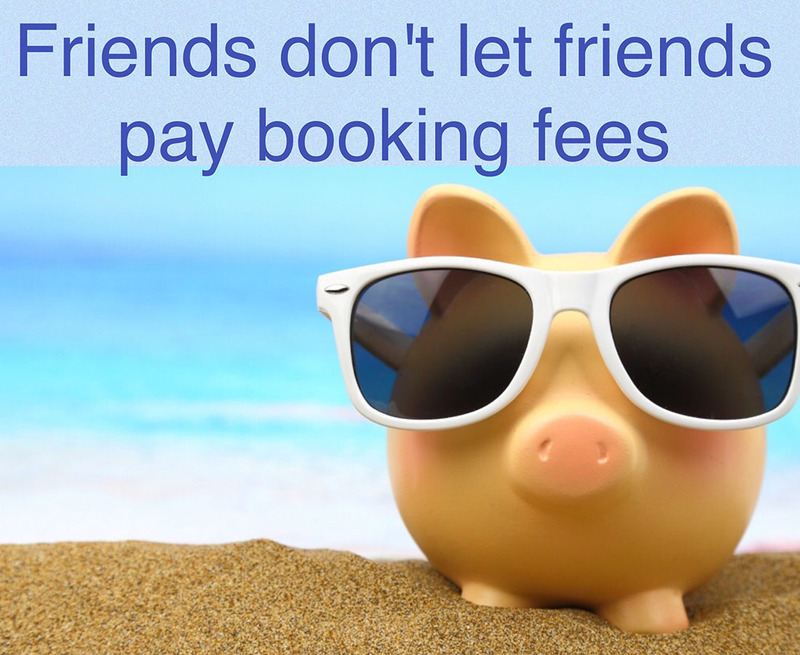 #BookDirect to get the best price and advice! 3- Is there a concert coming up at Put-in-Bay? What kids’ events are happening during your reservation period? Once again, the big OTAs don’t know the area and don’t have important information! 4- Are there any special offers available or multi-night discounts? The answer is yes, but the big OTAs will never tell you that! A guest is more likely to have a better vacation experience if they #bookdirect. Not only will the best price be guaranteed but guests are also likely to find the best special offers, the most flexibility, and the most informative communication if they book directly with the Island Club or Put-in-Bay Condos.